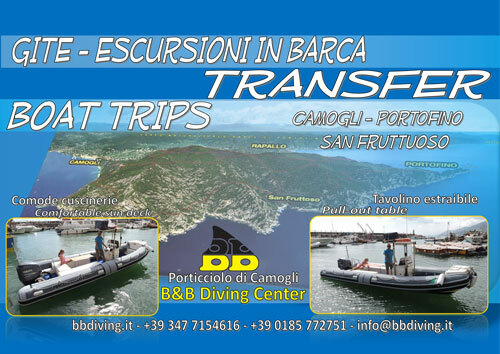 B&B Diving is the point of reference for those diving fans who love to enjoy their dives in the wonderful frame of the Mount of Portofino, and in the Protected Marine Area of Portofino (www.portofinoamp.it). 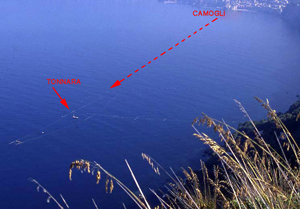 Located in the small port of camogli, we offer the best services with the most complete professionality. The excursions, all in the protected marine area of the natural Reserve of Portofino, can be performed also during intraweek days, in order to enjoy fully the tranquility of the depth. 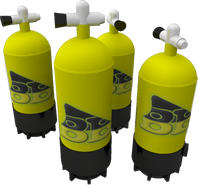 Our technical service offers repairs and maintenance of diving equipment. Besides to the diving, we offer services of storage and chartering of boats (also with skipper) and more in a generalized manner all which regards the recreational activities connected to "mare nostrum". Last but not least, we also wish to cite ours diving courses, thanks to which we can grant a huge range of certifications and our underwater service photo/video and promo.